A University of Missouri College of Veterinary Medicine alumnus received an Outstanding Service to Agriculture Award during Missouri Farm Bureau’s annual meeting, Dec. 5, 2016, at the Lake of the Ozarks. The award is presented annually to select individuals who have supported agriculture throughout their careers and have demonstrated their desire to work closely with Farm Bureau. This year’s other honorees are Tom Payne, vice chancellor for agriculture and dean of the MU College of Agriculture, Food and Natural Resources, and Dan Swearengen, who retired this year as chairman of the Division of Technical and Applied Sciences and general farm manager at College of the Ozarks, near Branson, Missouri. Robert ‘Bud’ Hertzog, DVM ’56, has maintained a general veterinary medicine practice for 60 years. He holds the distinction of being named a Distinguished Alumnus of both the MU CVM and the College of Agriculture. Hertzog is past president of the MU Veterinary Medical Alumni Association. Hertzog is also a former president of the Missouri Veterinary Medical Association, which created the annual Robert E. Hertzog Leadership Award in his honor. 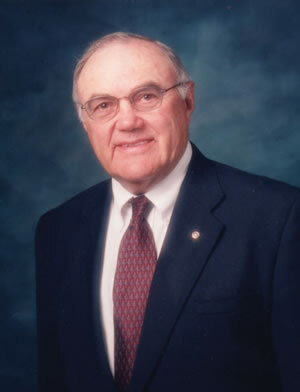 He was chairman of the Missouri Veterinary Medical Board and was named Missouri Veterinarian of the Year in 1973. Hertzog served the Kansas City American Royal Livestock and Horse Show as official veterinarian for 50 years. He served a similar role for the Kansas City Zoo for 22 years and continues as a consultant. Hertzog chaired the American Veterinary Medical Association (AVMA) Executive Board and the Foundation Board, which is the AVMA’s charitable section. The AVMA presented Hertzog with its 2014 President’s Award. He is a charter member and executive board member of the American Association of Zoo Veterinarians, a member of the American Association of Equine Practitioners and the American Association of Bovine Practitioners. For 16 years, he represented Jackson County during four terms in the Missouri House of Representatives. He owns and operates livestock and grain farms in Jackson and Johnson counties with his sons and grandson.